The Office of the City Clerk is committed to providing courteous and professional customer service. The City Clerk attends all meetings of, and serves as the secretary of record for, all City Council meetings and is responsible for keeping accurate minutes of such proceedings. The City Clerk position is an elected, part-time position. General Duties: The Office of the City Clerk posts public notices and maintains documents certifying municipal actions such as agendas, minutes, ordinances, and resolutions. The Office of the City Clerk is responsible for the retention and destruction of official records in accordance with applicable laws. 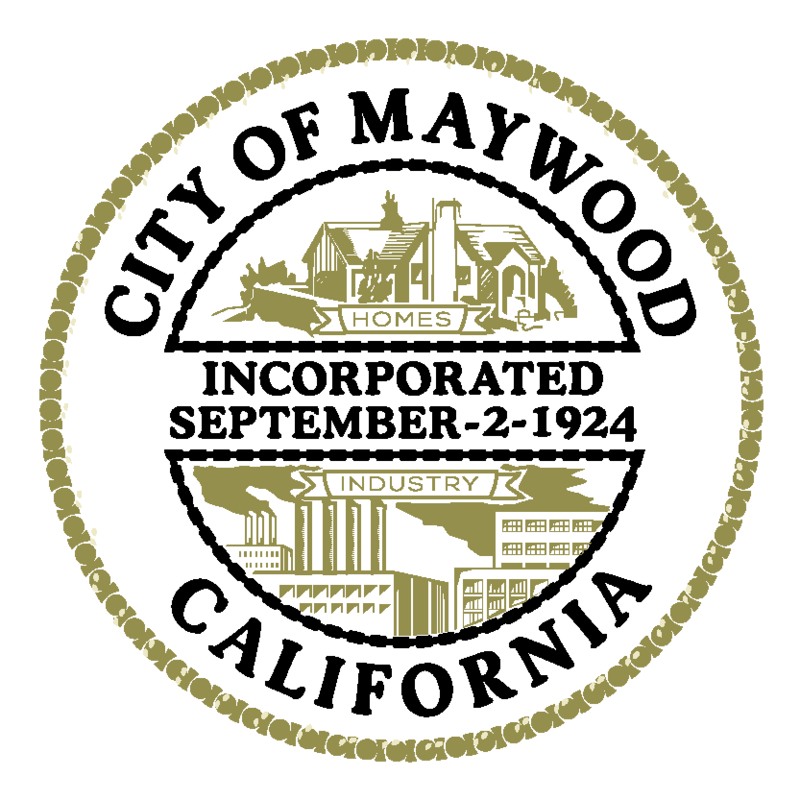 Public Records Requests: In compliance with the California Public Records Act, Government Code Section 6250, the City of Maywood is required to provide members of the public, upon request, any information relating to the conduct of the public's business that is prepared, used or retained by the City, regardless of physical form or characteristics. Records that are exempt under the Public Records Act will not be available to the public. The request will be processed within ten (10) calendar days. Under the California Public Records Act, a local agency must respond promptly, but no later than ten calendar days from receipt of the request, to notify the requester whether records will be disclosed. If the request is received after business hours or on a weekend or holiday, the next business day may be considered the date of receipt. The ten-day response period starts with the first calendar day after the date of receipt. If the tenth day falls on a weekend or holiday, the next business day is considered the deadline for responding to the request. The time limit for responding to a public records request is not necessarily the same as the time within which the records must be disclosed to the requester. If, due to the nature of the request, it is not possible to provide the information requested within ten calendar days, you will be notified within the ten-day processing period. Fair Political Practices Commission Statements: The Office of the City Clerk receives filings of campaign reports and statements of economic interest for designated employees, independent contractors, and elected officials. Municipal Code: The Office of the City Clerk maintains and records all ordinances and resolutions approved by the City Council and is responsible for the codification of ordinances. Elections: The Office of the City Clerk provides general information regarding voter registration and posts election outcomes on the City's website. Meeting Agendas: The Office of the City Clerk is responsible for posting all City Council, Housing Authority, and Successor Agency meeting agendas in a timely manner as prescribed by law. City Council Minutes: The preparation of the minutes of each City Council meeting is the responsibility of the City Clerk. All minutes shall be posted on the City’s website following City Council approval.